Dickel spells their whisky without an e while Jack Daniel's spells theirs with an e.
The last five parts of the definition mentioned above mirrors the Federal Standard of Identity for bourbon created by the Alcohol Tobacco Tax and Trade Bureau. Hopefully the introduction of this state law will put the rest the seemingly endless debate about whether or not TN whiskey was a bourbon. This law and others illustrate that as bourbon is a subset of whiskey, TN whiskey is a subset of bourbon. What many seemingly failed to recognize was that the TTB rules and the new TN law are primarily concerned, not with what distillers make but, what they call the things they make. These laws, defining the production methods of what certain spirits can be called, are designed as consumer protection measures. What this means is distillers are free to make whatever they want, but they are limited in what they can call it. That way when a consumer sees the words bourbon or whiskey on a label they are assured of what's inside the bottle. The fact is that Jack Daniel's and George Dickel could both be labeled Tennessee Straight Bourbon Whiskey, but for tradition and marketing reasons they have chosen to only use the term Tennessee Whiskey. This doesn't change the fact that they are made like bourbon and could be labeled such if they wanted too. The fact that this debate has lasted as long as it has surprises me considering that NAFT and all subsequent Free Trade Agreements, the Federal Government has defined TN whiskey in all as a straight bourbon whiskey distinctive to the State of Tennessee. That rant aside there are a few other interesting facts worth noting about Tennessee's new state law. 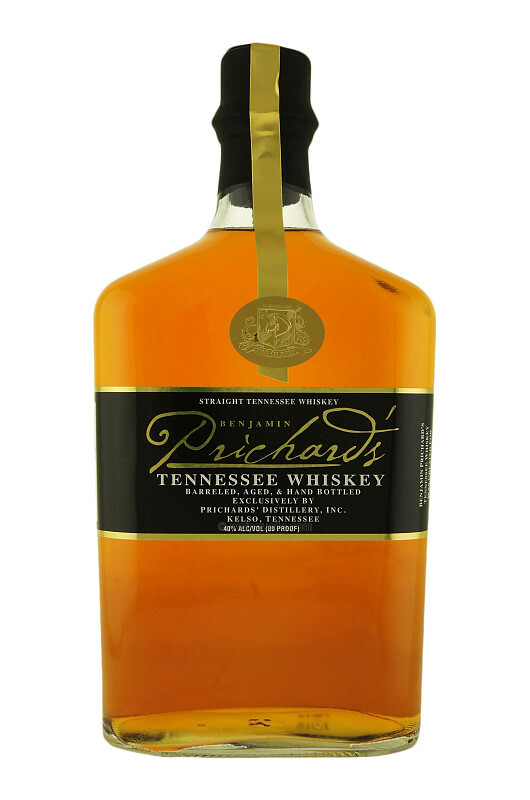 First, the law exempts the Prichard Distillery from the requirement that they filter their whiskey through maple charcoal before aging. The Irony of this is that the only operating distillery in Lincoln County doesn't use the Lincoln County Process on their spirits. Prichard, which opened in 1997, has never filtered their spirits through maple charcoal before aging, so they sought and received an exemption for that portion of the law from the state legislature. Second, the law also allows TN whisk(e)y to be spelled both with and without an e. For those of you who have read my series on Whiskey vs. Whisky you'll know that Whisk(e)y has had two spellings almost from the beginning of the word's entry into the English language. And, until recently, US writers have used both spellings of whisk(e)y interchangeably. The most prominent example of this is that George Dickel spells whisky without an e while Jack Daniel's spells whiskey with. Ultimately, the primary impact of this law will be on the new craft distilleries that have and will open in Tennessee. These distilleries will be required to filter their spirits using Lincoln County Process before they go into the barrel. In the end, I think a law like this is long overdue and it'll be good for consumers who have had to debate among themselves what exactly makes an aged grain spirit Tennessee Whiskey.